Companies engaging in international trade face ever changing, complex regulatory requirements in addition to the constant internal and external pressures facing most businesses. At Sack & Menendez, we strive to help importers address these challenges, by minimizing the risks associated with importing and maximizing the opportunities to make the process more efficient and thus, more profitable. In our daily operations, we accomplish this through our commitment to ensuring compliance with all U.S. government agencies and by going the extra mile to facilitate the expedited delivery of your freight. To complement these efforts, Sack & Menendez offers a suite of services designed to further evaluate your company's import operations and internal controls. Regardless of whether you require a comprehensive review of your products, procedures and records or wish to address very specific areas of concern, we can help you achieve your goals. Our staff, equipped with years of experience and an extensive understanding of U.S. regulations and best practices, will listen closely to your needs and will work to provide solutions tailored to fit those needs. The passage of the Mod Act in 1993 redefined the role of the importer and placed upon them the responsibility for using reasonable care to enter, classify and determine the value of imported merchandise. An importer of record's failure to exercise reasonable care can have significant short term and long-term ramifications. By evaluating your operating policies and procedures we can determine whether changes are required to bring them into compliance and help you decide how often these policies and procedures should be reviewed to minimize your risks. Importers are required by Customs to maintain specific records pertaining to their importations for a minimum period of five years. Failure to keep and/or produce these documents when requested can result in severe penalties. To avoid these penalties and to facilitate general business oversight, Sack and Menendez can work with you to develop a document management system that makes sense for your business and complies with all Customs regulations. Working closely with you, we can design and implement a system that names and organizes the required documents by vendor, country, purchase order or any other variable that is meaningful to your organization. One of the responsibilities shifted to importers by the Mod Act was to correctly determine the value of the merchandise being imported. We can help you understand and evaluate the several methods that can be used to appraise merchandise or review past documentation to ensure the values assessed were appropriately determined. Before you import a new product it is critical to know the classification and duty rate of the goods. While you could try to classify the goods yourself, the complexities and density of the U.S. Harmonized Tariff Schedule can make the task difficult and time consuming. Should you wish, Sack & Menendez can do this task for you, ensuring that your goods are properly classified. By doing this you add an additional level of compliance to your products. In addition to classification of new products, we have the ability to perform an exhaustive review of your current product lines and catalogs in order to build a product dictionary that can be used to expedite the classification process on future importations. In some cases, minor changes made to a product being considered for importation can have a significant impact on what rates of duty the item will be charged or the admissibility requirements that it must comply with. Sack & Menendez can assist you into looking at these issues, offering you some insight in to how you might be able to reduce the duty or other cost impact on your items without effecting their use or marketability. 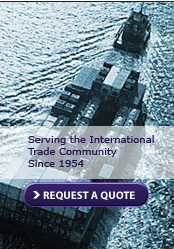 Unfortunately, errors or discrepancies are sometimes discovered only after an entry has been liquidated by Customs. If through the review of documentation and consultation with you and/or your suppliers, it is determined that additional information should be provided to Customs, we can help generate and file the appropriate paperwork in an effort to minimize and/or mitigate the impact of such findings. In the event that your goods are extremely unique and the correct classification is not clear, Sack & Menendez has the ability to request a Binding Ruling on your behalf from U.S. Customs. In a Binding Ruling request, we provide documentation describing the commodity in great detail while arguing for a particular classification that we believe to be correct or presenting a question for which we need an answer in order to determine the ultimate classification. Once the ruling is secured, it can be used to clear the items that it covers. The Customs - Trade Partnership Against Terrorism is an initiative designed to improve U.S. security by allowing members of the trade community to voluntarily divulge information about their international supply chain and import processes and potentially make improvements where they may be required. Sack & Menendez is a participating member of the C-TPAT program and can assist you in the application process.